Reshaping the nose has been traditionally performed with surgical Rhinoplasty. Injectable nose enhancement with dermal fillers is perfect for clients who are looking for an alternative to a surgical procedure. Non-Surgical Rhinoplasty is a simple procedure using dermal fillers which are injected into the nose with a very fine needle. The fillers can add volume to a precise area, can reshape the nose by straightening the nose and lifting the tip for a more aesthetically pleasing look. 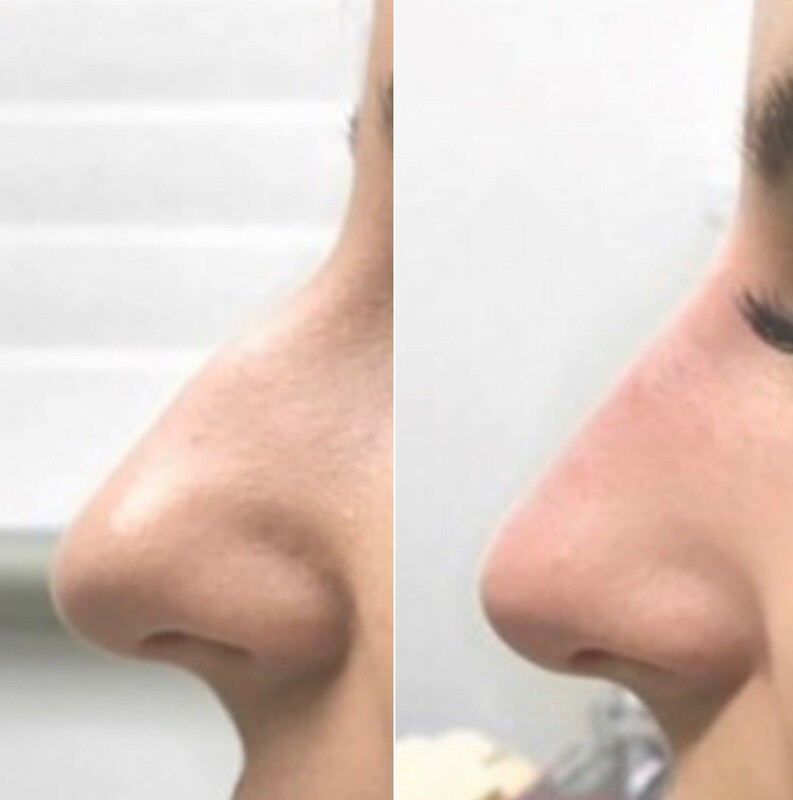 Our technique can produce instant results, and is perfect for those wanting to make a minor change to their nose without having to worry about the down time of surgery. The team at Avenue Advanced Skincare are highly skilled and experienced. Our staff are trained to recognise which treatments will work best for our clients. Mr. Allan Kalus, one of Australia’s most respected plastic surgeons, guides the skilled team of injectors. Their training gives them the confidence to use their aesthetic judgement to guide the client towards the best possible result. Our highly experienced Nurse Practitioner, Jane performs all of our Non-Surgical Rhinoplasty treatments in clinic. She has been injecting at Avenue Advanced Skin Care for almost ten years and is our expert in Non-Surgical Nose Reshaping. Jane has attained her Masters of Advanced Nursing Practice degree coupled with a proven record of many advanced clinical hours and extended clinical practice and is enabled by legislation to prescribe and refer within the cosmetic field of medicine and to function autonomously and collaboratively. Jane’s artistic and subtle touch produces and in depth knowledge of facial anatomy provides her patients with natural looking results which continue to exceed their expectations. If you are self-conscious about the shape of your nose, please call to book a consultation with our nurse injector on (03) 9521 5533. Dermal filler is an injectable gel that restores the skin’s natural support structures that have been damaged by ageing. Dermal fillers provide an instant, noticeable and long-lasting result. The main differences between the types of fillers are the thickness, viscosity, and longevity. After careful analysis of the area with a nurse injector, the injections to the area may take 15-30 minutes depending on the amount of dermal filler required. The procedure can easily fit into your lunchbreak. Will I have any downtime after the procedure? Usually there will be some tenderness and swelling to the area for a few hours after the procedure. Some tape may be applied to the nose, but may be removed the next day. 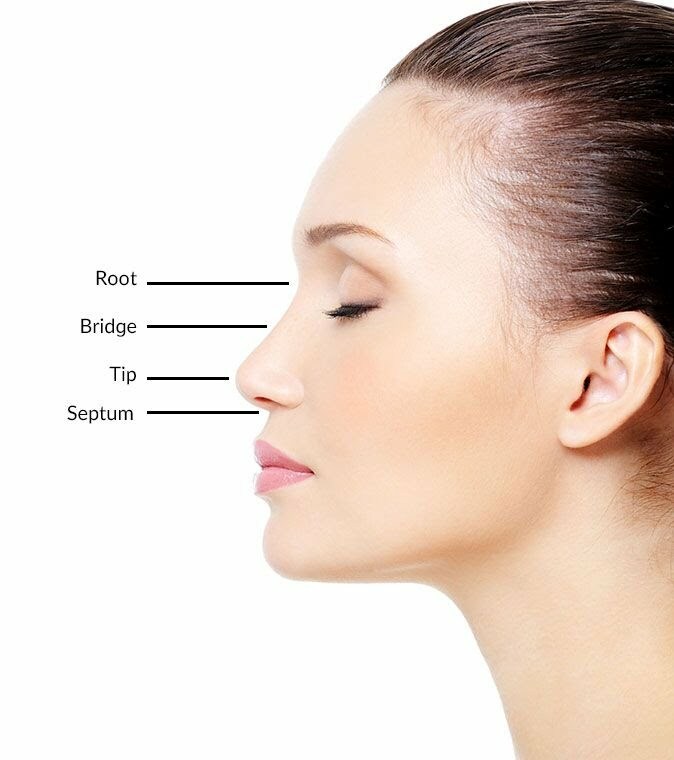 Compared to a surgical Rhinoplasty, there is almost no downtime. The results of dermal filler injections are not permanent, and subsequent treatments may be required. Individual results will vary greatly. If the client is to have a full 1mL of dermal filler injected to the nose area, then results may last 6-12 months. Subsequent treatments can have a longer lasting effect than the first treatment. What is aftercare for non-surgical Rhinoplasty? After the procedure you should not touch the area or apply makeup to avoid contamination and infection. It is advisable not to drink alcohol the night of the procedure or to wear sunglasses or reading spectacles for a week after the procedure. It is also recommended to avoid strenuous exercise for 24hrs after the procedure. Every procedure carries some risk. If dermal fillers are injected directly into the arteries around the nose it is possible (but rare) for blood flow to be affected. This can cause blanching of the skin which can lead to necrosis. The experienced Nurse Injectors at Avenue Advanced Skin Care are trained to make your treatment as problem free as possible. It is important to be aware of the risks when considering non-surgical rhinoplasty. One rare, but possible outcome is the compromising of the blood supply to the area. This occurs when the dermal filler is injected directly into the arteries that supply blood to the nose, which causes an immediate blanching of the skin which can lead to necrosis (the death of the cells). To minimise the risk of this occurring, it is essential to choose a highly experienced injector familiar with non-surgical rhinoplasty. This is a common concern for those who have never had a treatment with dermal filler before. Many of the dermal fillers available at Avenue Advanced Skin Care have local anaesthetic incorporated into the product, which means that they will provide additional numbness as the product is injected. Dermal fillers can be permanent or non-permanent. We prefer to use the non-permanent variety to reduce possible complications. The results, however, can be long lasting. This is because the filler acts as a matrix for the build-up of your own collagen. Individual results will vary greatly and one or two subsequent treatments may be required for full effect.